A surge in exports from China since a ruling by the WTO deemed the country's export quotas illegal and particularly after the lifting of exports tariffs in May, caused a further slide in prices which have been declining rapidly from peaks reached in 2011. 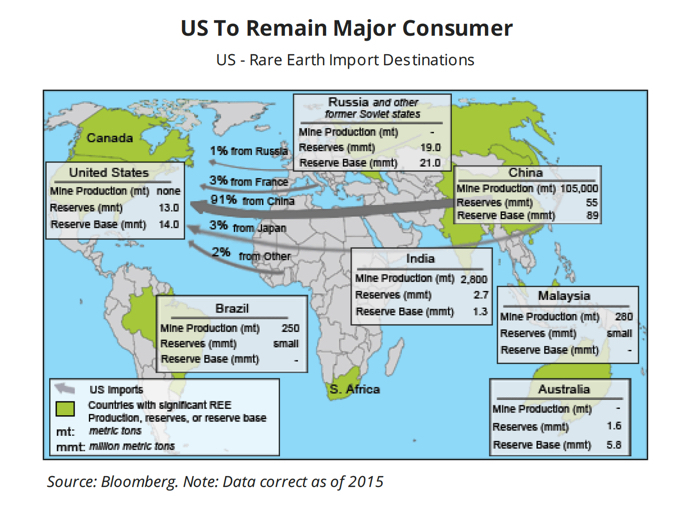 China's policy of consolidating domestic producers and processors while encouraging exports saw the sole US producer of rare earths Molycorp fall into bankruptcy in July last year. While Australia's Lynas has withered the storm, projects in Greenland, which has the potential to rival China's biggest production centres, Russia, India and elsewhere have struggled to gain traction amid the low price environment.